Our team capture your workshop or conversations in real time to provide a visual record, and a deeper connection to the event. 3rdView are Customer Experience Leaders. We inspire organisations to understand their customers, and equip them to deliver true value. We’re here to enrich. To make lives better for all your stakeholders. We’re here to simplify. To reduce the clutter that wastes time and energy. The 3rdView VOICE+™ Principles underpin every aspect of our work. These provide a platform to amplify the customer voice, bring a fresh perspective to the table, and deliver robust and sustainable decision-making. Most importantly, 3rdView Consultants bring perspective, authenticity, and positivity to your business. Working with 3rdView is an experience like no other. Our VOICE+™ Principles guide every engagement, reflect our appreciation for Design Thinking, and amplify the customer voice. That’s what sets us apart. We turn intangible concepts into visual stories to excite, engage and energise stakeholders. We embrace and encourage creativity to stretch thinking beyond the obvious. We create an environment where people are open to new perspectives and fresh ideas, and where people share candidly and contribute. We provide and encourage feedback and critique to enhance learning. We develop alternatives and build on ideas to provoke conversation and feedback. We sketch, reflect, take action and prototype solutions. We engage the full range of customers (internal and external) in conversation and work together to design solutions that deliver outcomes for all stakeholders. We seek conversation, then documentation. We take the time to understand different perspectives and challenges through observation and immersion. We seek to enter the customer’s world. We bring a positive outlook and energy that helps our clients to focus on what’s possible and how they can make a difference. We seek to inspire through our infectious enthusiasm and determination. Every customer has an experience with your organisation. A well-designed experience adds value to customers, and your organisation. When we immerse in the world of the customer, we build a rich understanding of their perspective on our business. A powerful tool to understand, capture, and share your customers’ journey, and engage your people to improve it. Equipping your people to explore and shape every aspect of your customer experience provides a strong foundation for growth. Well-facilitated workshops engage your people and customers. Positive experiences and meaningful conversations lead to sustainable outcomes. Visual representations are a powerful way to capture a conversation, engage your audience, and make an event memorable. ‘Putting the customer at the heart of everything we do’ is a powerful way to clarify purpose, and shape your organisation. Help your people deliver on the things that matter most to your customers by defining your unique CX Principles. Ensure your leaders are on the same page about the problem you are trying to solve, before you commit significant resources. We are customer experience leaders. 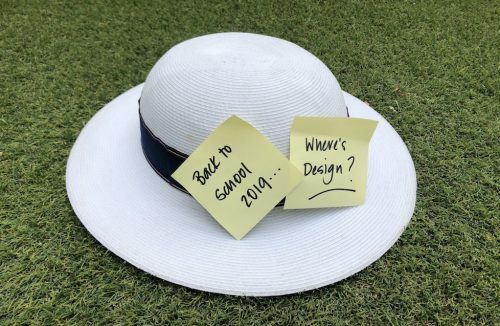 We are designers, facilitators, strategists and visualisers who bring diverse perspectives, boundless positivity, and authentic humanity to your organisation. Marie-Claire (aka MCG): customer strategist, facilitator, runner and community contributor. Marie-Claire has a unique ability to ‘bring customers into the room’, and challenges clients to simplify, enrich, and explore a new perspective on their business problems. Bartley: sought-after strategist, facilitator, business and soccer coach. Bartley’s passion is to work with organisations to clarify, communicate and deliver on their ‘reason for being’, and help teams build the capability to deliver great experiences. Hayley is a talented designer, qualitative researcher, and visual storyteller who distils key concepts in fun visualisations to make the complex simple, facilitate change and explore new directions. Emma helps the 3rdView team consistently perform at their best through organisation, and the simplification of business processes and systems. Brett uses design to convert complex problems into opportunities. He helps clients and stakeholders co-design solutions that genuinely work for all parties involved. Anja: designer, visualiser, advocate and adventurer. 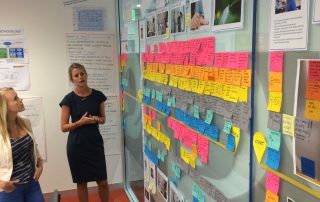 Anja is an emerging talent in the application of design to business improvement and innovation. 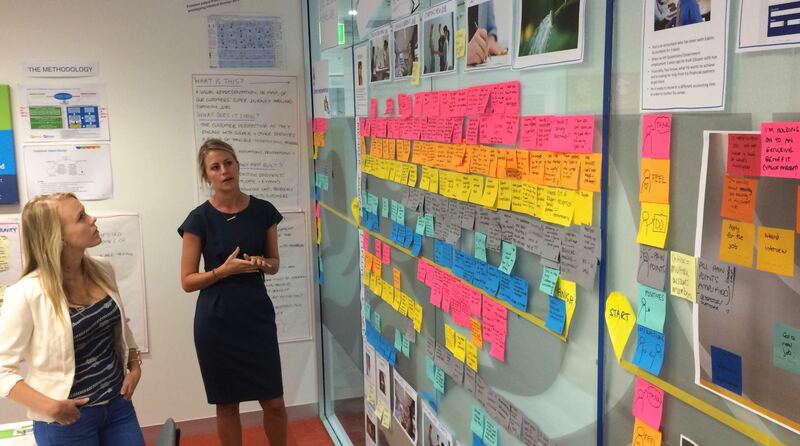 She implements design-led innovation to create purposeful change from within an organisation. We’ve helped some of Australia’s most recognisable brands to understand their customers, engage people, and shape their strategy. I’m told that one of the greatest skills I have is the ability to translate my day-to-day interactions into lessons on how to become a more customer-focused organisation. Useful? Absolutely! These observations of ordinary life provide great insights, and help me work with clients to design great organisations and experiences. If you would like to know more about what we can offer please do not hesitate to get in touch. We would love to hear about your business, and identify where 3rdView Consulting can help you achieve a more customer focused and successful future.